It breaks our heart. Cute and harmless bunny rabbits are not meant for dinner. Yet it’s part of the latest trend where they’re being served at a number of America’s top restaurants. Part of the heartbreak is that rabbit farms are not required to follow the Humane Slaughter Act. Rabbits are classified as “non-amenable” animals, a designation that removes them from humane slaughter regulations. Recently, Last Chance for Animals, a Los Angeles based animal advocacy group, conducted an investigation of Pel Freez, the nation’s largest rabbit processing plant, located in Rogers, Arkansas. We’ll skip the gory details but it’s as bad as we’ve heard about anywhere. 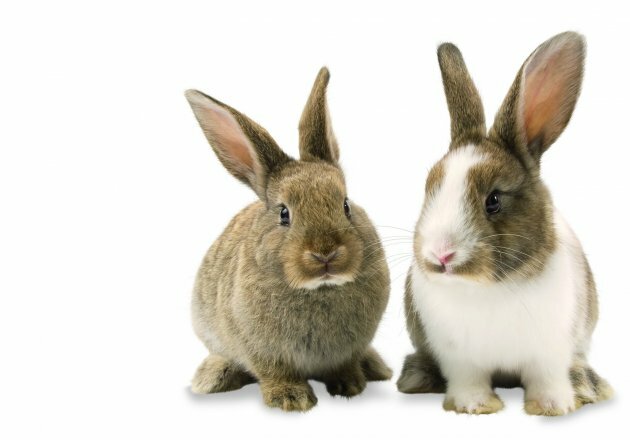 While clearly rabbit slaughter is bad for these cute critters, it’s none too good for us either. Consider that as with other meat, rabbit has artery-clogging saturated fat, cholesterol, and produces cancer-causing heterocyclic amines when cooked, while lacking any fiber or health-promoting phytonutrients. We haven’t yet seen any rabbit-meat substitutes as there are with beef, chicken and fish, but that shouldn’t stop us from finding better things to eat. Given the creative abilities of the nations top chefs, we’re sure they can come up with something inspired by their humanity. Let’s hope they give it a try.